Q: Do I need a Home Inspection? A: Yes, you need one. Buying a home “As Is” is a risky proposition. Major repairs on homes can amount to thousands of dollars. Foundation, plumbing, electrical and roof problems are a few examples of areas not easy for the untrained eye to evaluate and can be expensive to fix. Q: Isn’t the Property Condition Disclosure Statement from the seller adequate? A: No the “PCDS”, Property Condition Disclosure Statement is not adequate to replace a home inspection. Most sellers do not know the condition of their homes and the instructions in the document to the Seller say, “Answer all questions based upon your actual knowledge.” In the PCDS document a statement under Purpose Of Statement advises “It is not a substitute for any inspections or tests and the Buyer is encouraged to obtain his or her own independent professional inspections and environmental tests and also is encouraged to check public records pertaining to the property. Q: How do I choose an Inspector? Experience, how many years has an inspector been conducting inspections? 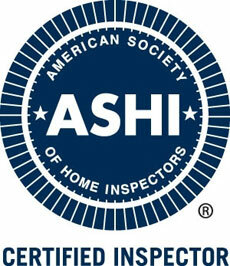 Is the inspector properly licensed, insured and qualified to fulfill your needs? Are home inspections their full-time or part-time occupation? What items are inspected and what style of written report is provided? How does your inspector sound over the phone – should you trust him? Choosing the right inspector and spending $300-$500 for a quality inspection can be the best money spent during your home purchase. Without a detailed inspection you could easily purchase an undisclosed major health, safety or structural defect, which could range between a few hundred dollars to many thousands of dollars to repair. A major structural defect discovered during one of our recent inspections at a 10 year old home was quoted by two qualified contractors to cost in excess of$50,000.00 to repair. A: The on-site inspection will usually take at least three hours for a typical single-family house; anything significantly less would not be enough time to perform a thorough inspection. Times will vary depending on the size, age & condition of the home. We do not leave until all your questions are addressed. Q: Is Professional Opinion the cheapest home inspection company around? A: No, this is not a cut-rate, low quality company. However, Professional Opinion offers the best value for your dollar. There are inspectors that charge lower rates than we do, some of whom are novice inspectors, part-time inspectors, checklist inspectors or inadequately insured inspectors. Our clients are satisfied with the thoroughness they witness during the inspection and the detail of the written report. Q: Why can’t I have someone in my family who is very handy or a contractor, inspect my new home? A: This may be the biggest mistake many potential new homeowners make when purchasing a home. Although the person you are considering may be very skilled, they are not trained or experienced at professional home inspections. Many contractors, and other trades professionals hire professional home inspectors to inspect their homes when they make a purchase. Q: Should I be present during the Inspection? A: It is not required, but we encourage our clients to be present at the inspection to ask questions to obtain a better understanding of the condition of the home and the operation of systems and components. Q: Why use our Services? A: The purchase of a new home is one of the single most costly investments that a person will make. 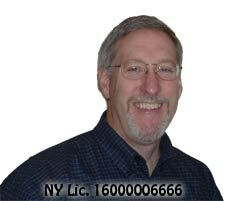 Combining a lifetime of experience, professional training and continuing education your inspector at Professional Opinion has the expertise, an outstanding reputation for providing quality service and will serve you well in making an informed decision during your real estate transaction. Call TODAY to schedule your inspection!